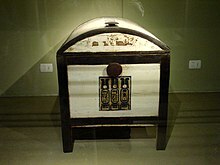 ^ "Egypt Update: Rare Tomb May Have Been Destroyed". Science Mag. 4 February 2011. Retrieved 1 November 2013. 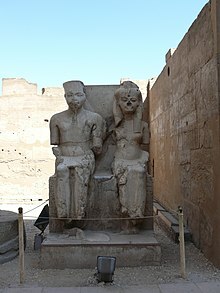 ^ a b "King Tut Was Disabled, Malarial, and Inbred, DNA Shows". nationalgeographic.com. 17 February 2010. 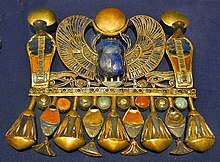 ^ "Who was King Tutankhamun?". news18.com. 9 May 2012. Retrieved 23 March 2017. ^ Williams, A. R.; 24, National Geographic PUBLISHED November. 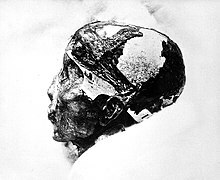 "King Tut: The Teen Whose Death Rocked Egypt". National Geographic News. Retrieved 26 November 2015. ^ Comelli, Daniela; d'Orazio, Massimo; Folco, Luigi; et al. (2016). "The meteoritic origin of Tutankhamun's iron dagger blade". Meteoritics & Planetary Science. 51 (7): 1301. Bibcode:2016M&PS...51.1301C. doi:10.1111/maps.12664. Explicit use of et al. in: |first3= (help)"Early View (Online Version of Record published before inclusion in a printed issue)". ^ Gebelhoff, Robert (12 August 2015). "Archaeologist believes he may have found remains of ancient Egyptian queen Nefertiti – hidden in King Tut's tomb". Washington Post. Retrieved 23 September 2018. ^ https://plus.google.com/+travelandleisure/posts. "King Tut's Tomb Is Reopening to Visitors After 9 Years of Dazzling Restoration Work – Take a Look Inside". Travel + Leisure. Retrieved 4 February 2019. ^ Bill Price. (21 January 2009). 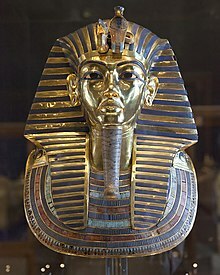 Tutankhamun, Egypt's Most Famous Pharaoh. p. 138. Published Pocket Essentials, Hertfordshire. 2007. ISBN 9781842432402.